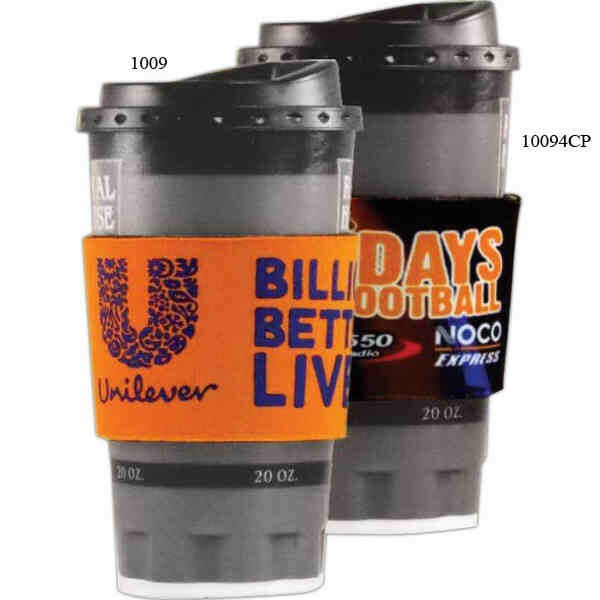 Put your brand directly in their hand with this full color slip on sleeve Bottomless Beverage Insulator. It's made using 1/8" thick high density scuba foam and is available in a wide variety of color choices. 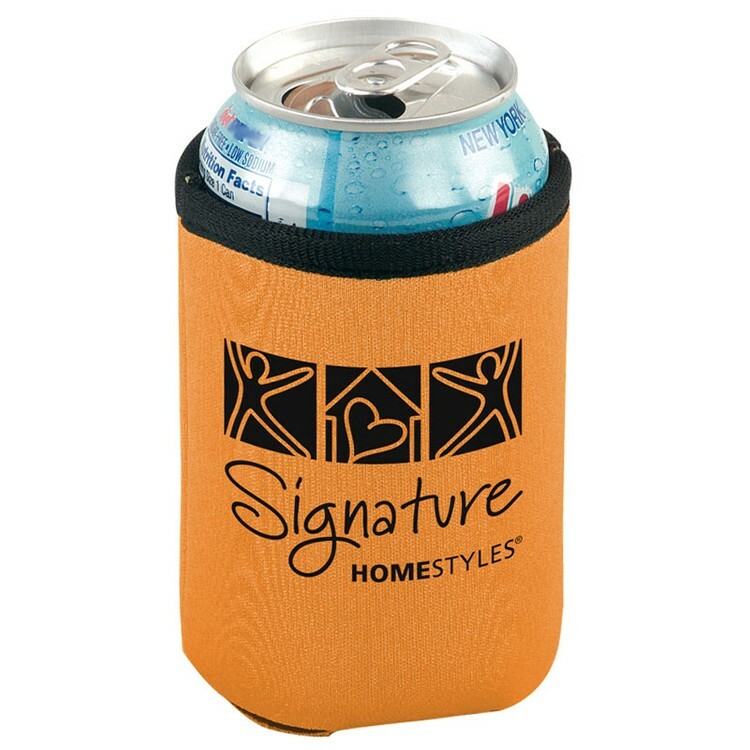 This is ideal for tailgating parties, backyard barbeques, sporting events, outdoor festivals and more. 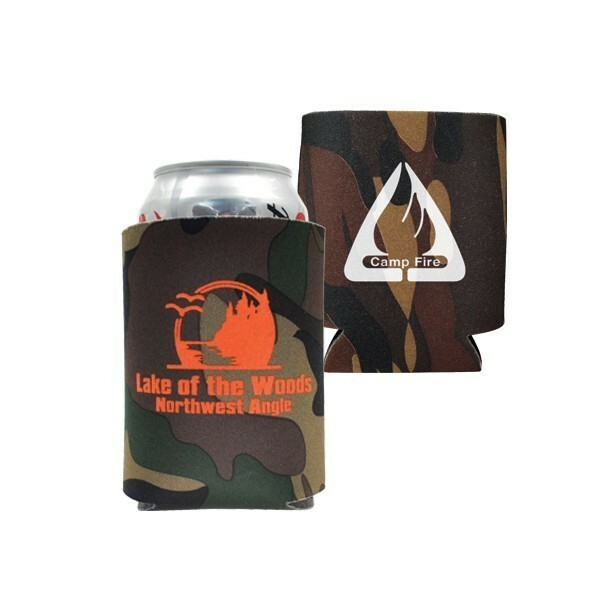 Add your organization's name, logo and advertising message and take advantage of dozens of licensed artwork to complete your sleeve's look. 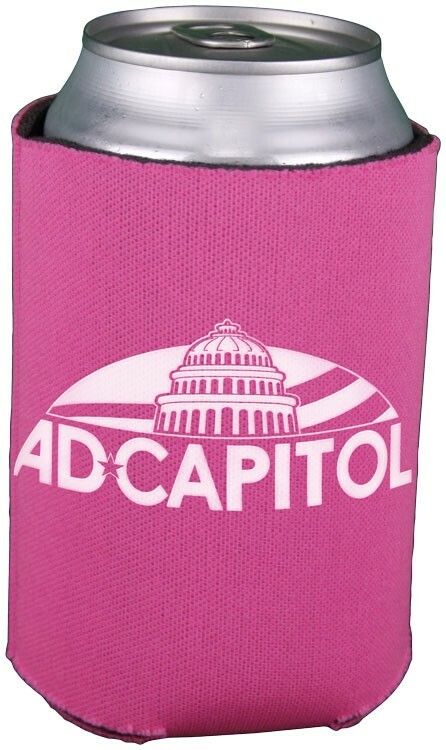 You will be surprised how many compliments you receive when using the Bottle Topper. 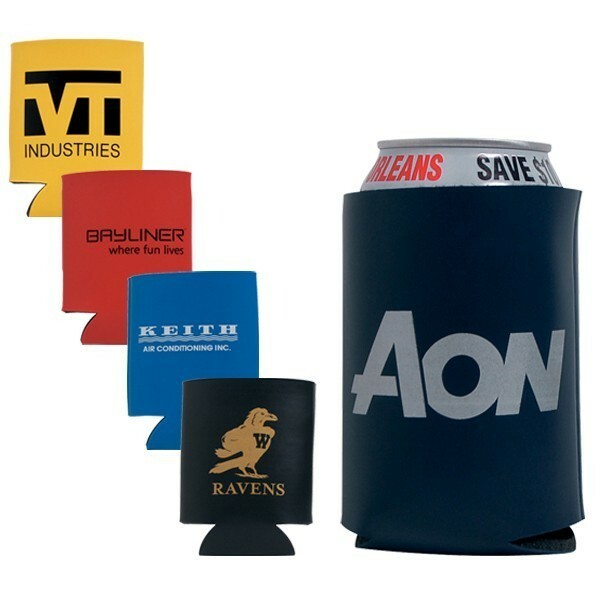 This product is made out cloth, foam, knit and poly to keep your beverage looking good and cool. 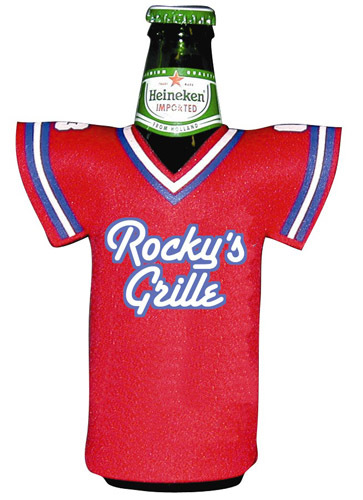 This t-shirt shaped topper fits most 12 oz. to 20 oz. bottles. Make your investment even more special by adding on a personal message or your company thanks to the printing capability. 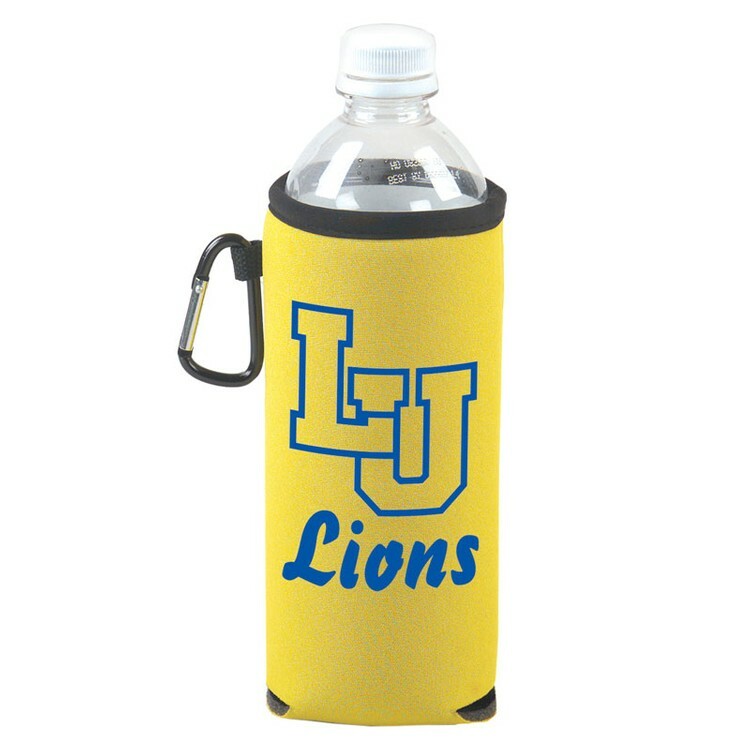 Your beverage just got a little cooler with this item! 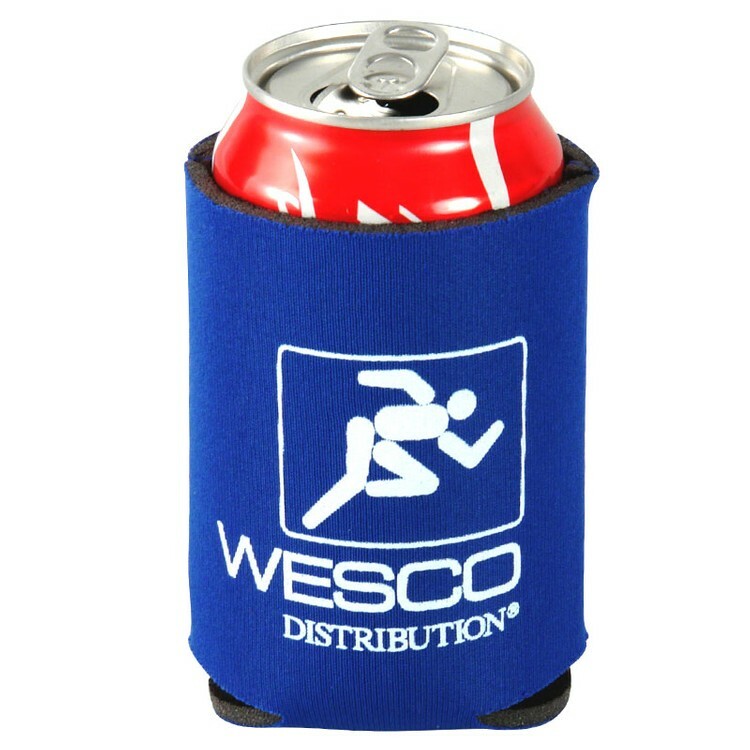 Your clients will get great use out of the Can Huggies during your next business event. 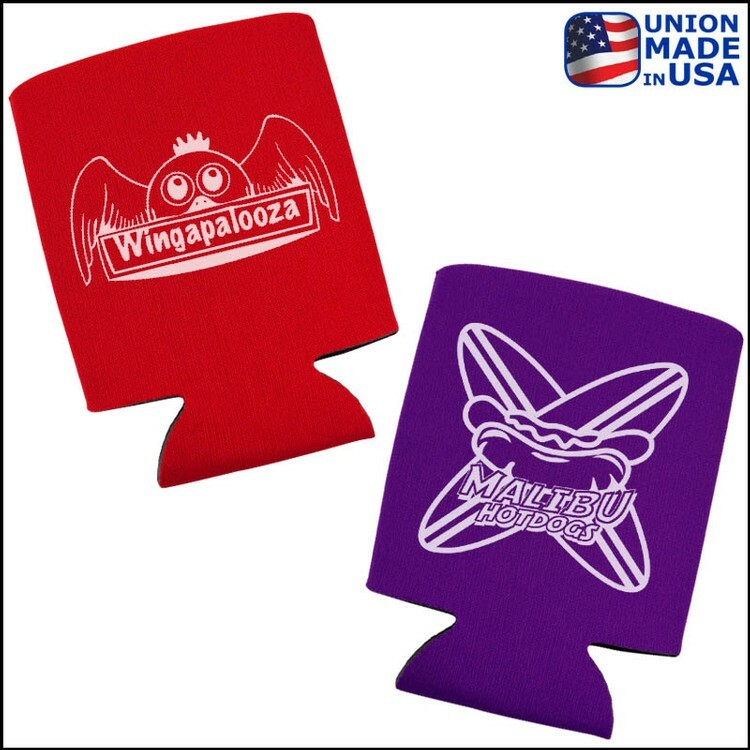 These can huggies are made out of insulated foam to keep your beverage cool. For your convenience the product folds flat to make for easy transportation. Make your huggy even more special by adding on a personal message or your company thanks to the printing capability. 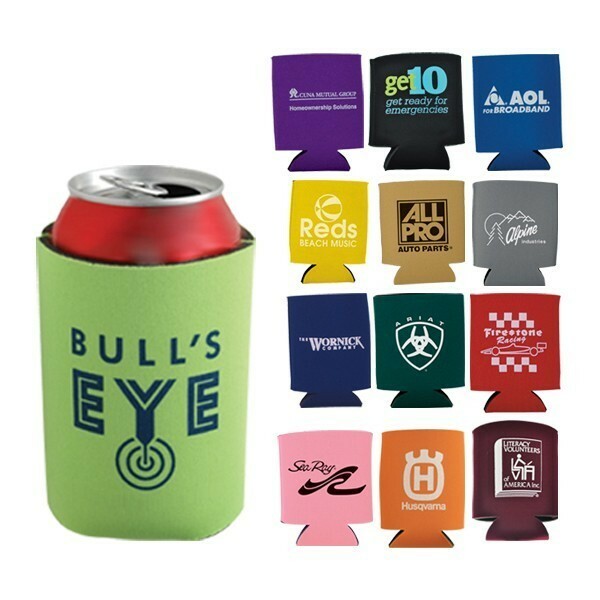 Building brand awareness just got a little cooler! 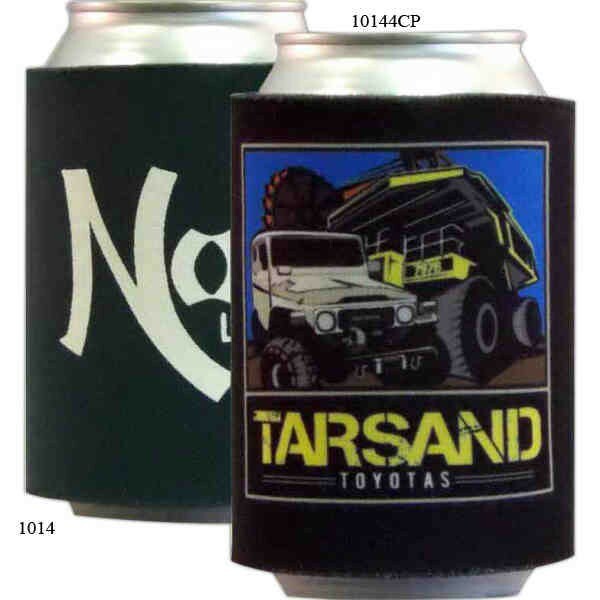 Free 2nd side imprint. Smooth, leather-like exterior. Felt-lined interior. Actual size flat is 5-1/8"h x 4"w. Actual size open is 4-1/8"h x 2-3/4"diameter.